A shelf has been mounted under the bench in a continued effort to keep the top of the bench as clean as possible. The shelf houses the audio amplifier which drives everything from the computer audio/radios/turntable into my speakers, and keeps wires off of the floor. 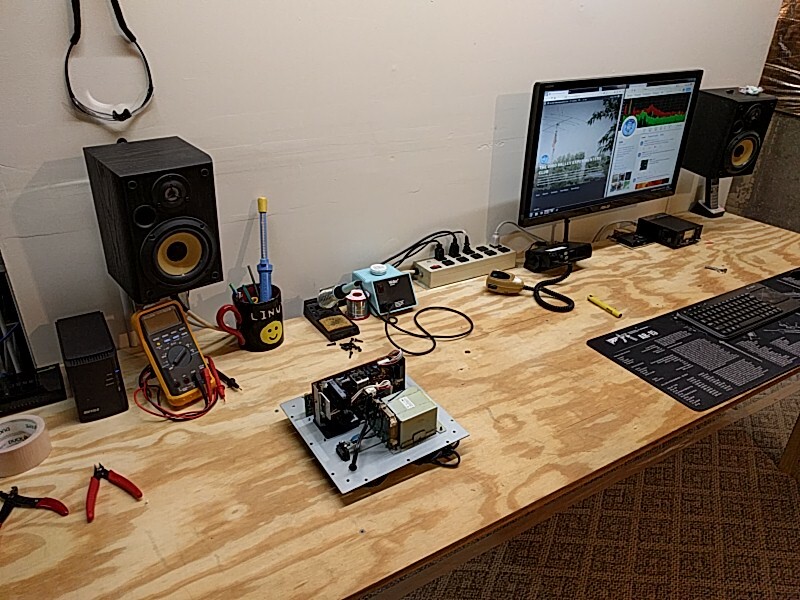 The left side of my bench is going to be used for electronics troubleshooting, repair, and prototyping, and the right side as my primary operating station location. 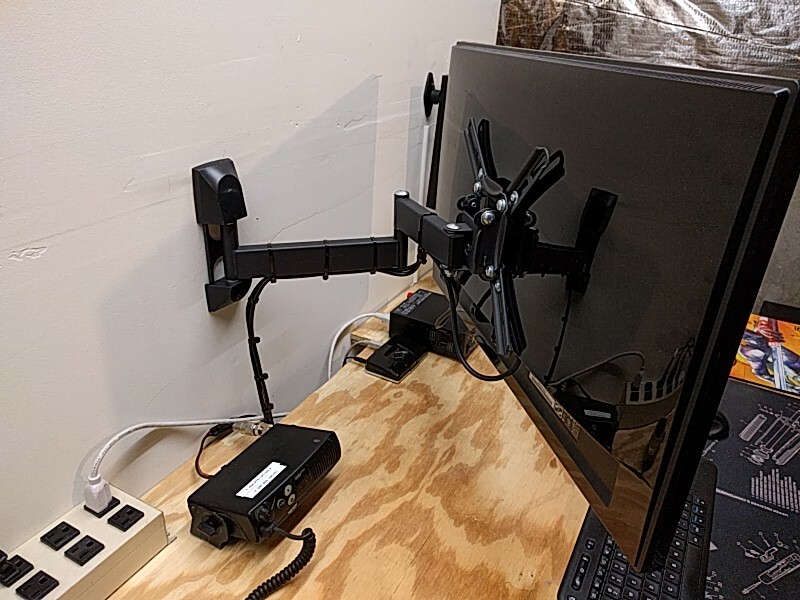 I decided that having multiple monitor/computers could be a pain, so to keep things simple I opted for a monitor mount with a movable arm and wireless keyboard/mouse combo. 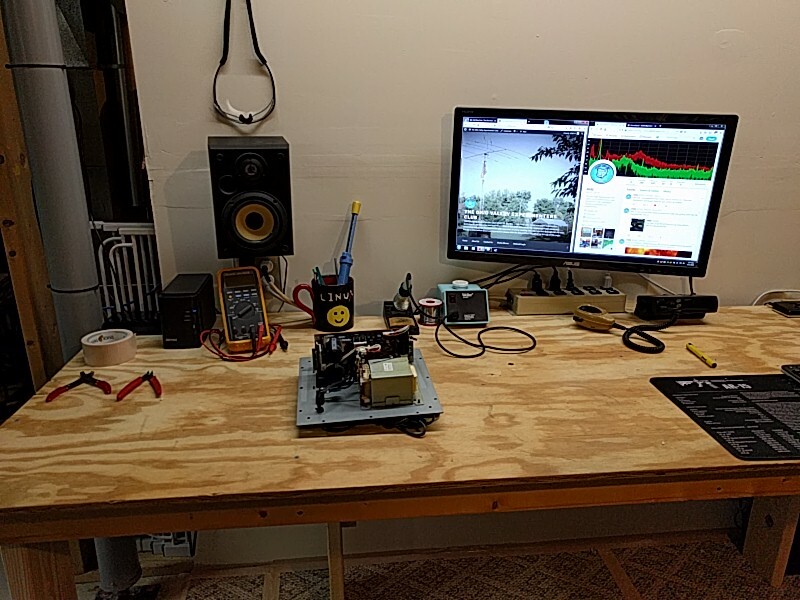 This allows me to move the monitor to the left side when reading schematics and troubleshooting, or back to the right when playing radio. 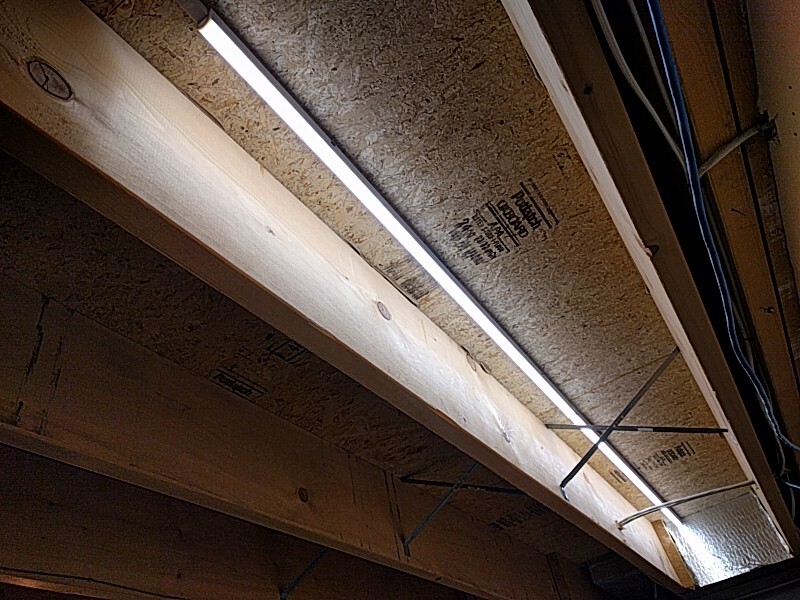 I also saved big money at Menards and bought 2 LED light strips and mounted them up in the joists. 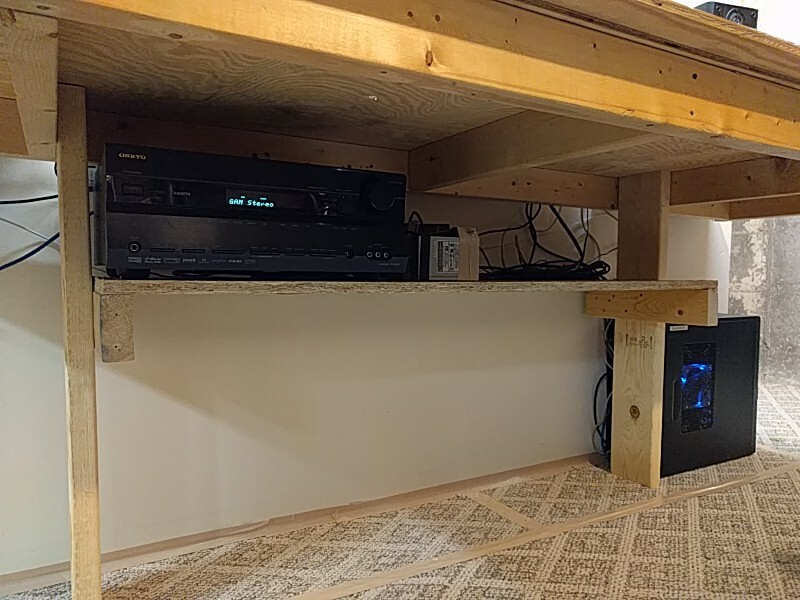 By mounting them closer to the back of the joist, I was able to minimize seeing them directly, which makes it much easier on the eyes. I’m really pleased with how this came out, as it does a fantastic job evenly lighting the whole work space with minimal glare. They are not only very small, but can can be daisy chained which significantly reduces wire runs. Each box comes with a light assembly, power cord, 6″ “daisy chain” cord, and all mounting hardware. You can also plug one light straight into another making one long light strip like I’ve done here. At 11 dollars a fixture, it’s is one heck of a bargain. Well so far that’s where I stand! 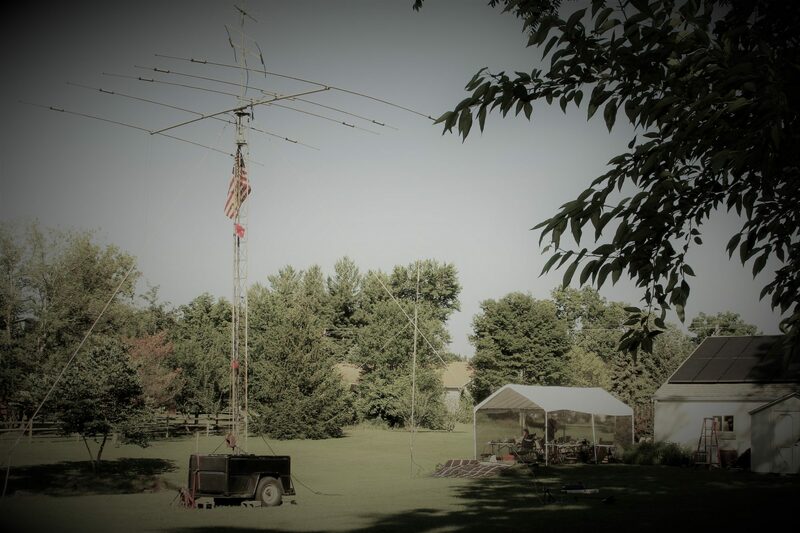 I hope to have most everything set up by the weekend so that I can attend the local 10m net. We shall see! Previous PostPrevious An Update From the Treasurer…. Next PostNext Repeater Live Feed Functional!